SAP HANA combines OLAP and OLTP processing in a single in-memory database, transactional and analytical can live together in the same place and this means you have access to the exact information you need in real time. With this new approach an interesting question emerges since we have the transactional and analytical worlds combined in a single database, is there any difference in the development approach when we talk about data models constructed over ABAP CDS (Core Data Services)? The answer is Yes and in this article, I try to clarify these different concepts with a good example of how you should construct an Analytical model based on ABAP CDS views. 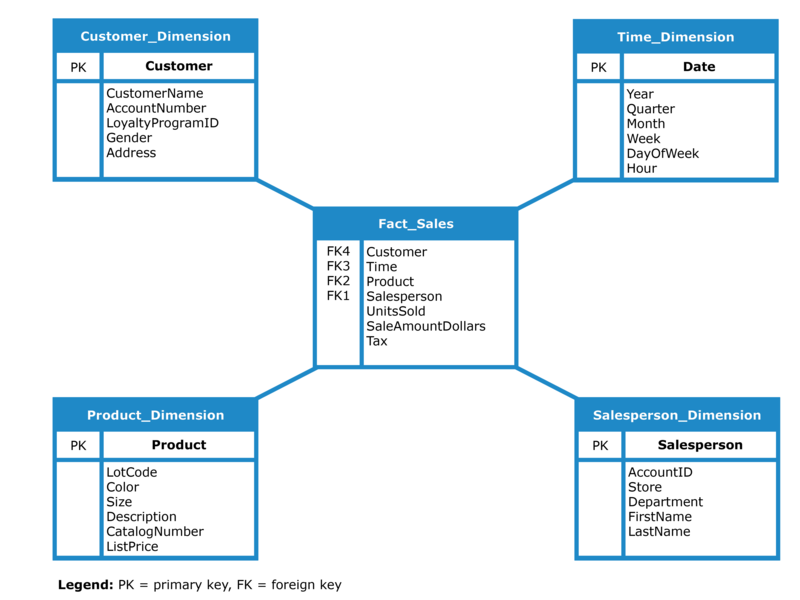 One of the biggest advantages of constructing data models with ABAP CDS is that you can design views thinking about both paradigms, depending on your requirements you can apply different development techniques focusing in one of the scenarios. Analytical models are recommended for reporting purposes when you need to use the advantage of aggregations to expose results across different areas (e.g. by time, by location, by responsible). These models are conceived over Facts and Dimensions and these views contain the basic data used to conduct detailed analyses and derive business values. Imagine as an example a sales report which provides results based on customer, product, date and salesperson. The Fact is the sales itself and it holds values that we can measure (e.g. number of sales and total amount of sales), the filters by customer, product, time and salesperson are the Dimensions and these dimensions can have Attributes or Texts attached (e.g. customer name, address and product description) and when we connect all of them we have a Cube and consequently an analytical model ready for consumption. Uplift in sales from the prior year. Each query will fulfill a specific purpose and it could be designed for different applications (e.g. Reports, KPIs, etc.). Important Note: This article won’t focus extensively on Business Intelligence (BI) concepts if you still have questions about the subject I advise you to perform an extra search with all the topics discussed so far. The real focus of this article is actually to translate those BI concepts to the universe of ABAP CDS views and with this statement in mind we can proceed to our next topic. If you already worked with ABAP CDS in the past you definitely heard about annotations. One of the main purposes of Core Data Services is to allow the creation of semantically rich data models and annotations are the main component to support this task. Analytics provide support to adapt ABAP CDS views and enable multidimensional data consumption by taking advantage of data aggregation. AnalyticsDetails support the adaptation of analytical query layout with changes in the aggregation behavior, planning or formulas to calculate metrics. Changes in the default aggregation are possible but the most common scenario is configured with a #SUM aggregation. Queries must select data from cubes because of the aggregation pattern defined previously if you try to consume data from a different view the system will return an error during the activation. Now you should be able to identify the basic steps to create ABAP CDS analytical views but still without any idea of how you should connect all of these different views to create an analytical model. In the next section, we still start to practice with a real development. There are a lot of options left to explore in SBOOK table but since I don’t want to over complicate the exercise I’m not going to explore its full potential. When you replicate this demo try to play around identifying more fields that could potentially add business value and feel free to attach them into the current data model. All dimensions must have an @Analytics.dataCategory: #DIMENSION classification in the header of the view. Associations with texts and names are executed through annotation @ObjectModel.text.element. Annotation @Semantics helps to define text and address fields. With all dimensions prepared we can move on to the development of our cube. It’s not mandatory to construct a Fact view to consume it from inside of a Cube, you can expose the table who holds the measures directly in the cube to avoid an extra view and consequently an unnecessary level. Based on the documentation, fact views cannot have joins or association and they must hold only measurable values, if you want to connect your dimensions in the same view you should definitely use a cube instead of a fact. 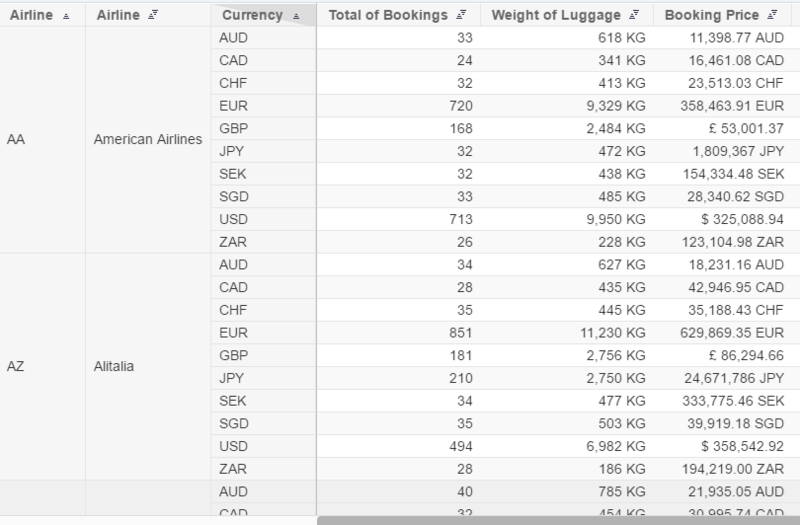 All cubes must have an @Analytics.dataCategory: #CUBE classification in the header of the view. @DefaultAggregation annotation should be placed before the fields determined as measures. 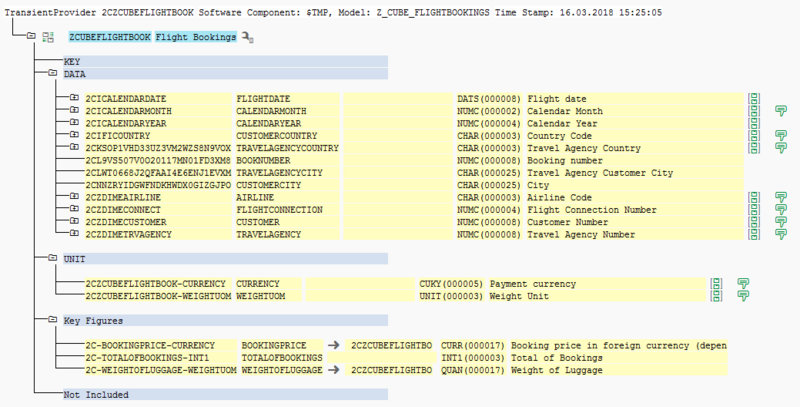 Annotation @Semantics helps to define text, currency, quantity and address fields. All the associations are exposed in the bottom of the view to provide access to Attributes and Texts during the query consumption. Before we proceed to the query development let’s have a quick look in the transaction RSRTS_ODP_DIS (Transient Provider Preview). This transaction is used to review associations, texts, and hierarchies placed inside of the analytical data model providing a detailed analysis for each one of the attributes. You can use this transaction to review any kind of analytical views but the focus here is to review the cube only. Copy the name defined in the annotation @AbapCatalog.sqlViewName, place it in ODP Name parameter and execute the program. In the right section of the screen we can see two types of icons, the left one confirms that we have a valid dimension associated with the attribute (based on a Foreign Key), the right one confirms that we have a text association with this field. All the attributes were validated (by foreign key and text) and since everything looks fine we can move on to the query development. All queries must have an @Analytics.query: true classification in the header of the view. Display (Key or Text) and axis control (Free, Columns or Rows) of dimensions. 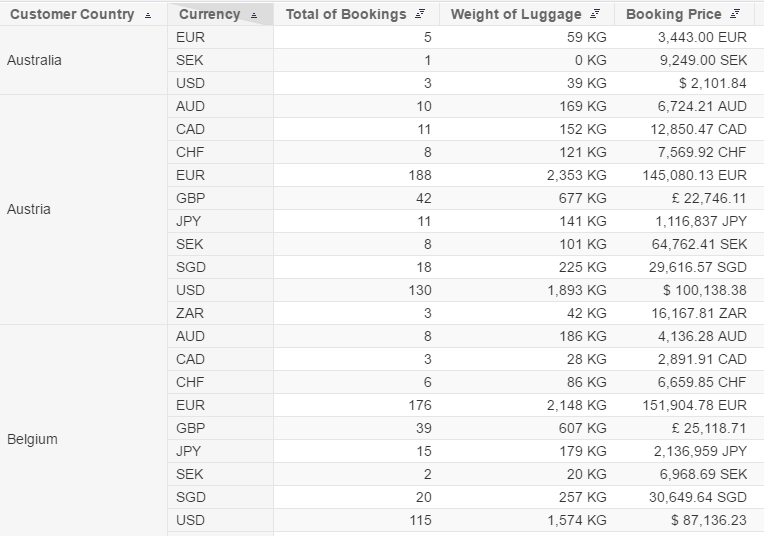 All the three main measures were exposed in the bottom of the query but there is an extra metric based on an average aggregation behavior, the query formula will use the weight of luggage as measure and apply the aggregation to calculate the average during the run-time. Since there is a calculated field in the query level there is no option to test the aggregation and formula using HANA Studio data preview, to achieve this functionality we need to test our query through a front-end application which supports this task. 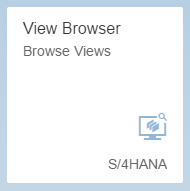 It is possible to execute tests directly through transaction RSRT (Query Monitor) but I would like to show you an alternative way using View Browser Fiori application available in the standard role SAP_BR_ANALYTICS_SPECIALIST (Analytics Specialist). Search the query, select the record and click in the button Show Content. The report screen shows all the 4 metrics (3 measures and 1 formula) and all of the dimensions in the left side available for selection. 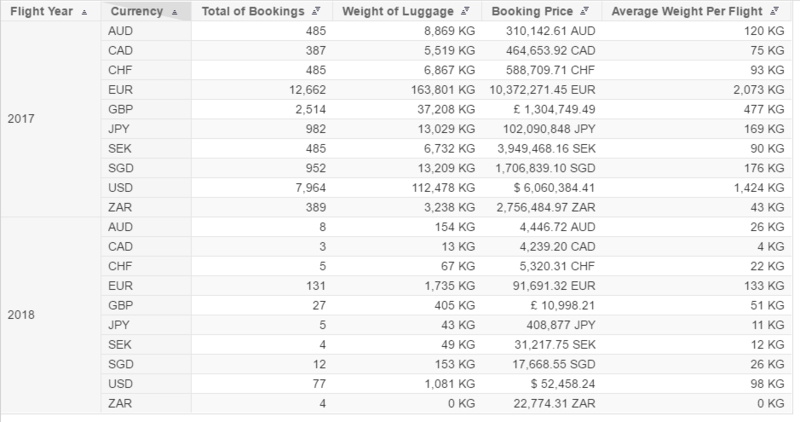 Check that Booking Price shows * as result, this happens because we have multiple currencies and the system cannot aggregate them without the Currency dimension exposed. So this is the end! Hope you enjoyed the content. ? 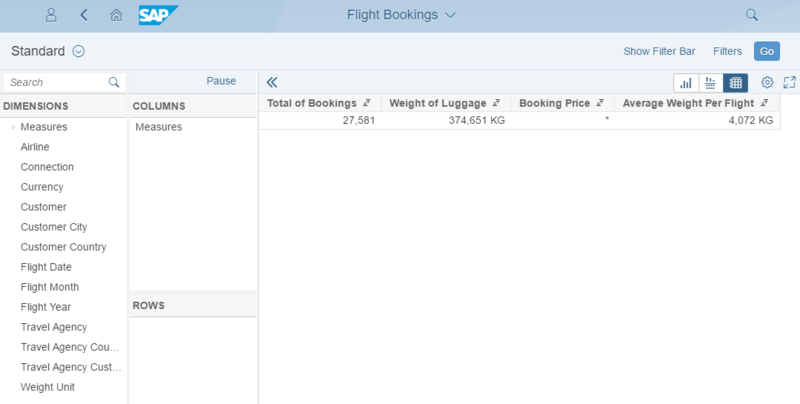 In my next post, I’m going to move back to the Fiori Elements subject and reuse the data model created in this article to explore how we can work with an Analytical List Page.